The Whitefish Point Marathon is a USA Track & Field Certified Course north of Paradise Michigan located in the eastern Upper Peninsula of Michigan. The road race meanders along Whitefish Point Road, traveling along the edge of Whitefish Bay, crossing the Betsy River, kissing the shores of Lake Superior, passing by the Whitefish Point Light Station, while skirting the edge of the Seney National Wildlife Refuge, Whitefish Point. 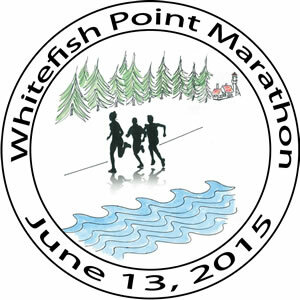 The finish line is at the Whitefish Community Center on the southern edge of Paradise. After the race, we encourage you to unwind by visiting Tahquamenon Falls, Crisp Point Light House, Point Iroquois Light House, the Whitefish Point Light Station or Oswald’s Bear Ranch.